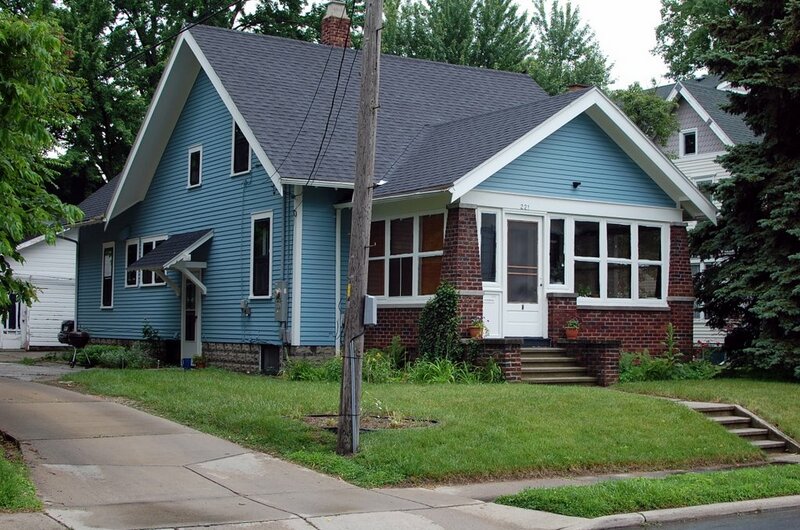 My husband and I feel so blessed to have found this adorable old house to rent. 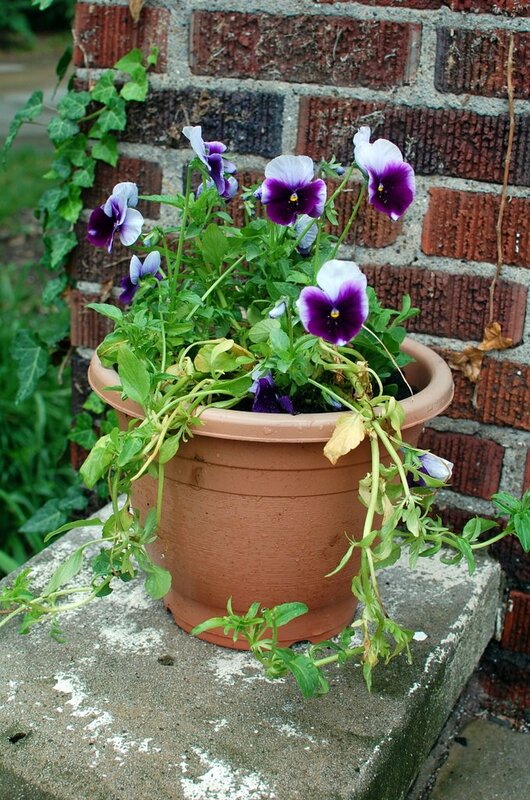 Follow me up the front stairs towards the porch, and you’ll pass this pot of pansies – my favorite! I bought them on clearance at Wal-Mart for a dollar each, and put them into a couple of pots we had lying around. 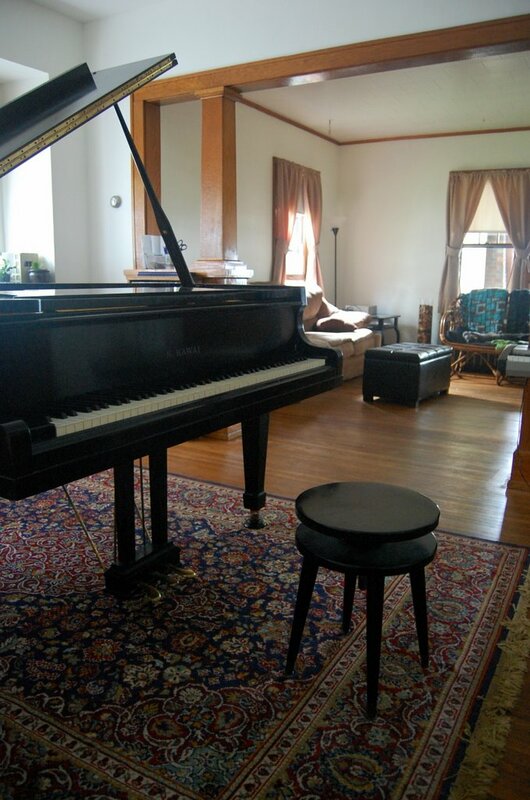 After walking through the enclosed porch, we are now in the living room which also serves as a waiting area for the piano studio. 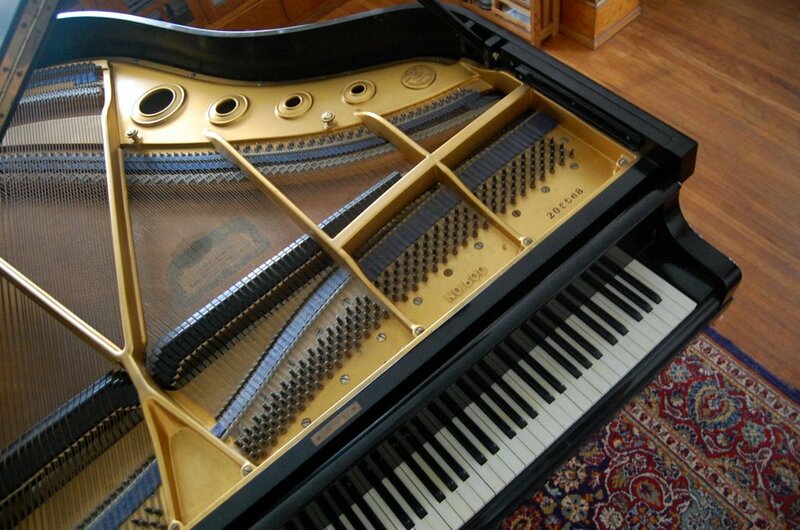 And, yes, you can see my Kawai from here! 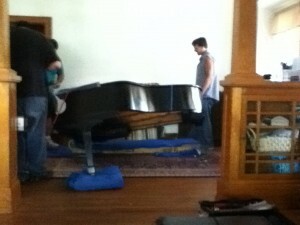 We are using the dining room as my piano studio, since the kitchen is large enough to hold our small dining room table. 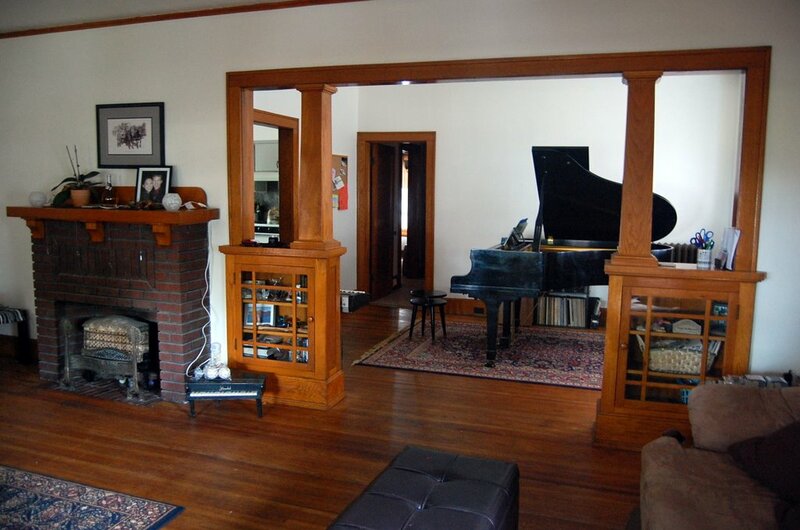 I love all the woodwork in this old house. They don’t make ’em like they used to!! The fireplace in the living room is non-functional, but I love how it looks! 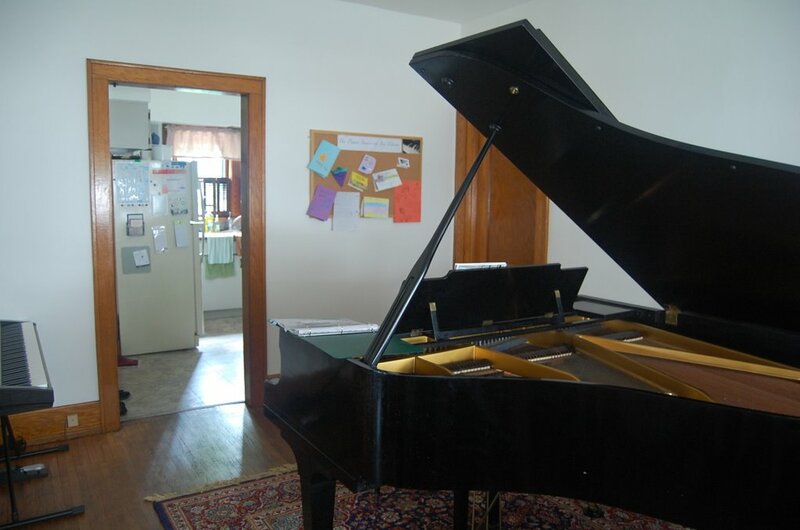 The dining room teaching studio has a built-in drawers and cabinets, perfect for storing sheet music and music games! That doorway leads into the kitchen. 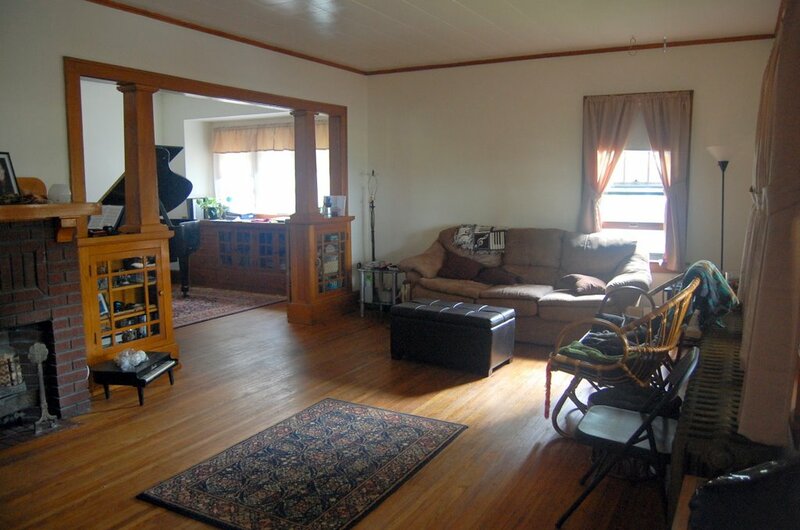 The door on the right is a hallway leading to two bedrooms and the bathroom. 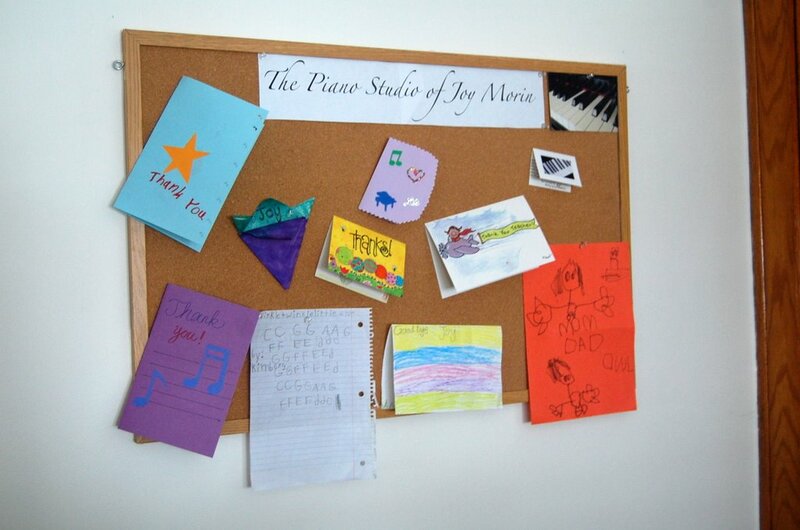 My studio bulletin board currently features some of the thank you cards I received from students before we moved away. 🙁 Hopefully soon it will also feature photos of new students here in Ohio! 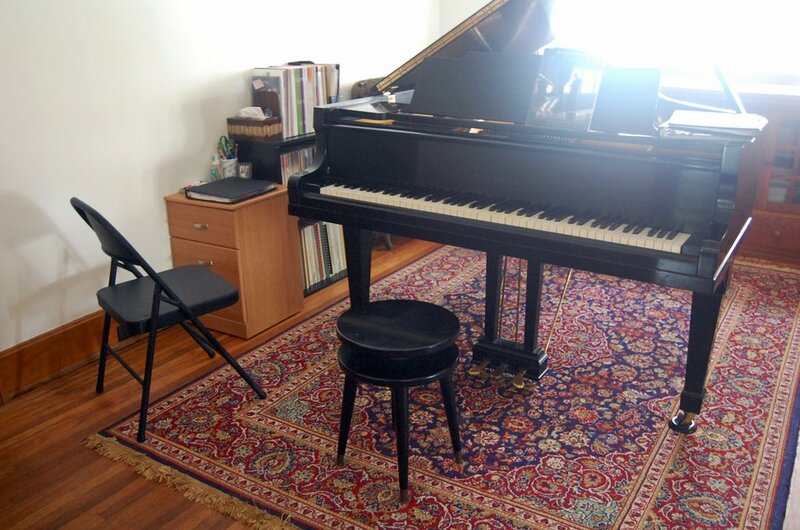 The piano came with this little stool. I’m think I’m going to ask my mom to help me make a cushion for it, because it does get rather hard after awhile. 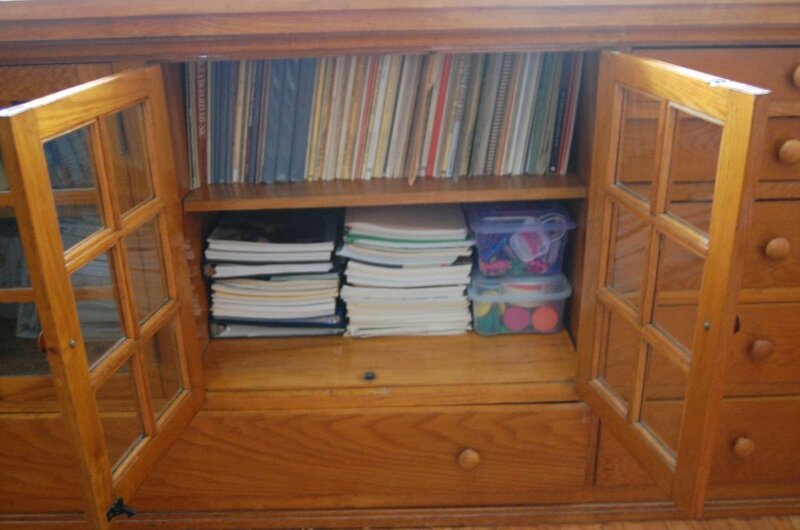 The good thing, though, it that it is adjustable in height which is great for young students! 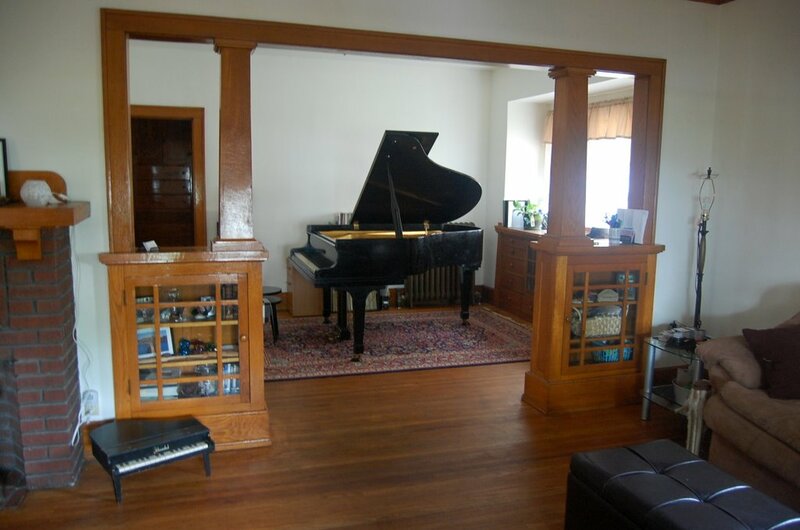 The ivories (yes, real ivories!) are in near perfect condition. 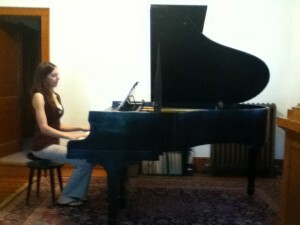 I love my piano teaching studio! I couldn’t have imagined a better setup. What a blessing! It’s been awhile since I’ve updated this photo blog, and a lot has happened! Paul and I graduated with our master’s degrees, and have freshly become Ohioans. There are a lot of photos I didn’t put up in the meantime but rather than go back and do those, I’m jumping onward to the present. 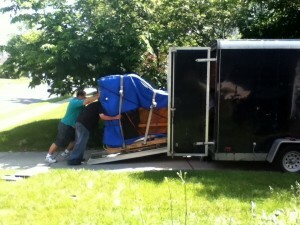 Here’s the full scoop on my recent piano purchase! 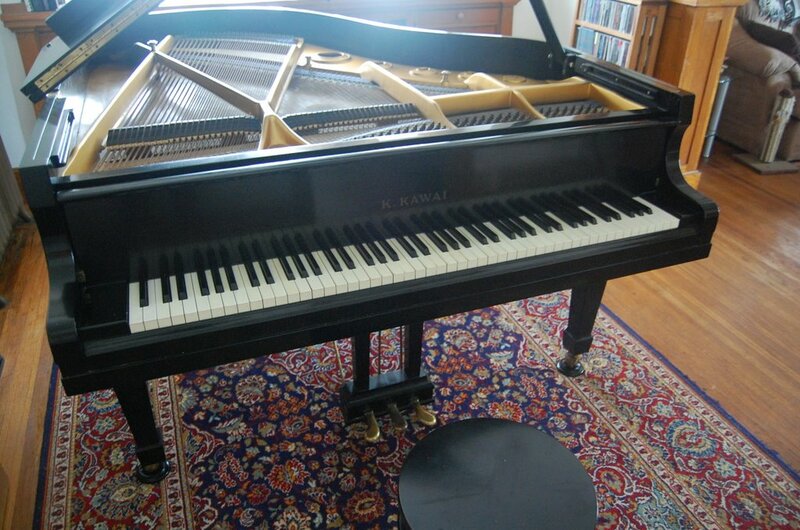 I’ve been shopping on Craigslist for quite some time, and I learned that a lot of piano shopping is about personal preference. 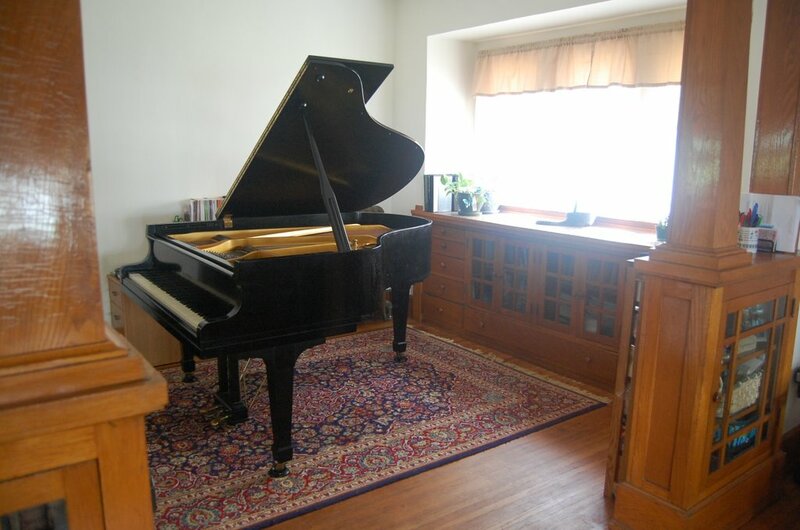 My husband and I looked at an absolutely breathtaking Knabe (this one is fun to say: “Kuh-KNOB-ee”) from the 1920’s, for example, but as soon as I played a few notes I knew it wasn’t the piano for me. Somehow, it just didn’t grab me. 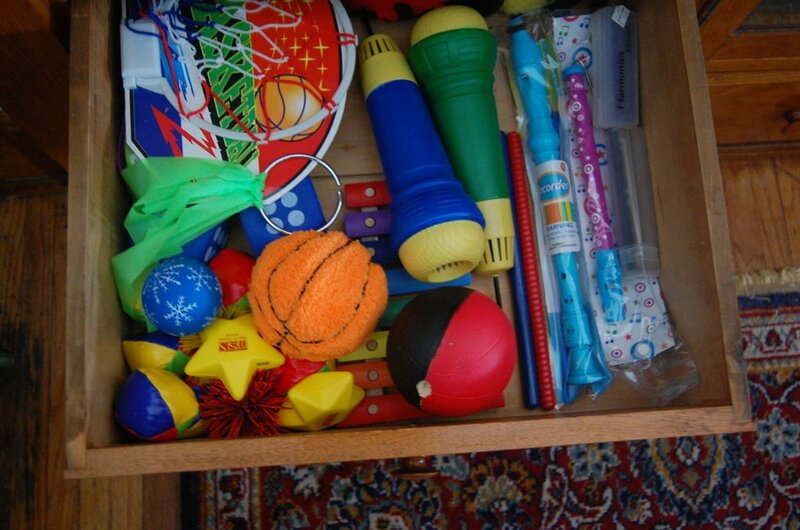 I wanted to find something that I would love to sit down and play. 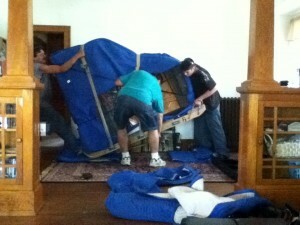 I hired a registered piano technician to inspect the piano for me before I bought it. 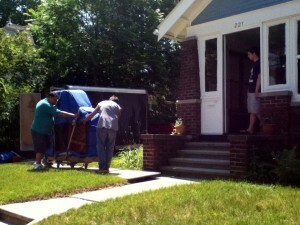 The technician confirmed that it does need some work, but we were able to talk the owner down to $2500. 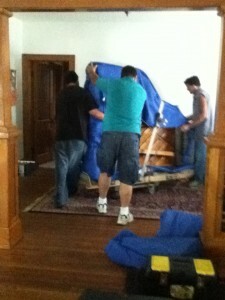 My new piano was delivered Friday! 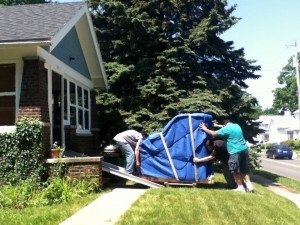 A photo tour of the house we are renting is coming soon – stay tuned.